If you want everlasting wedding photos then finding creative wedding photography ideas are your starting point. The more creative these ideas the more exceptional and unique your wedding photos will be. As a wedding planner, I have seen that these photography ideas are without any doubt one of the most essential wedding arrangement choices you will ever make. Although the gathering of these ideas is time-consuming I can tell you that you should see your time and efforts spent as a real investment. After all, photographs and memories are all that you will have left after the wedding day. So I urge you to put in some extra time and effort and you will see better results at the end. When planning the wedding photos, the couple will soon discover they face two major challenges within the wedding photo topic. They are; first getting the right wedding photography ideas that will represent the desired look and feel, and the second challenge is finding the right photographer to create this desired look and feel. Always keep in mind that this is a wedding. It is supposed to be a joyous occasion, so keep a smile on your face, be upbeat and jovial with all around you, and your photographs will reflect that. 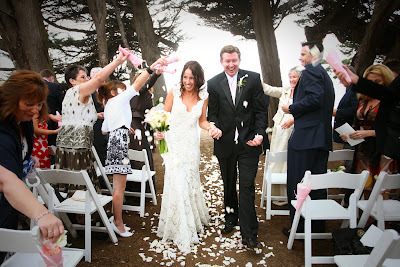 Hopefully these wedding photography ideas will help you toward a successful day, and promising career. I'll see you in part three where we will look at ideas for delivering the final product.